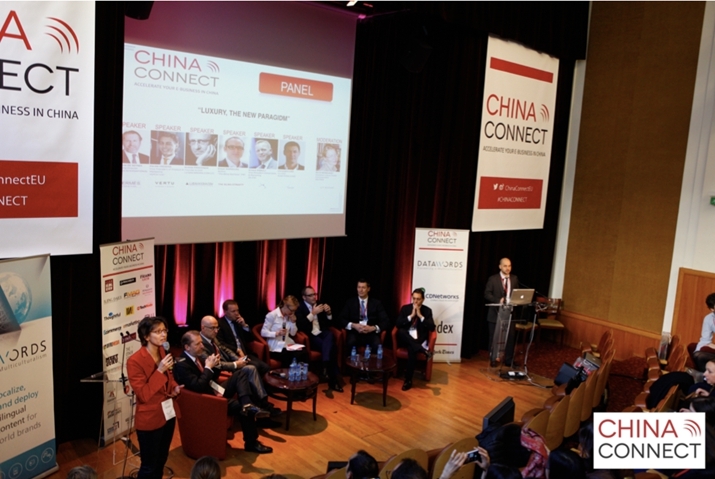 CEOs and experts specializing in Chinese consumer trends—particularly those in the digital and mobile consumer markets—will gather again in Paris on April 6-7 to attend the annual China Connect conference. This year, European marketing and digital decision-makers from different fields including services, communication and media will focus on the Chinese mobile consumer market, which has nearly 1 billion mobile Internet users. Beijing Review: What are some of the most striking changes you’ve witnessed in the fields of communication and mobile media in China during the past year? Laure de Carayon: It may not be striking changes, but rather an acceleration of what we’ve been witnessing for a couple of years: the growth of Internet penetration and an acceleration of mobile adoption—mostly thanks to smartphones. This has led to the explosion of mobile shopping, cross-border e-commerce, the search for services and products that improve lifestyles, the bridging of the online and offline (O2O) worlds, and the facilitation of mobile payments. This year will be very interesting as Western and local players, from Apple Pay to Huawei Pay want to have their piece of the cake led by Alipay and Tencent Pay/WeChat Wallet. The rise of WeChat has been phenomenal as it has become mandatory for any player hoping to connect with Chinese customers in China and abroad. 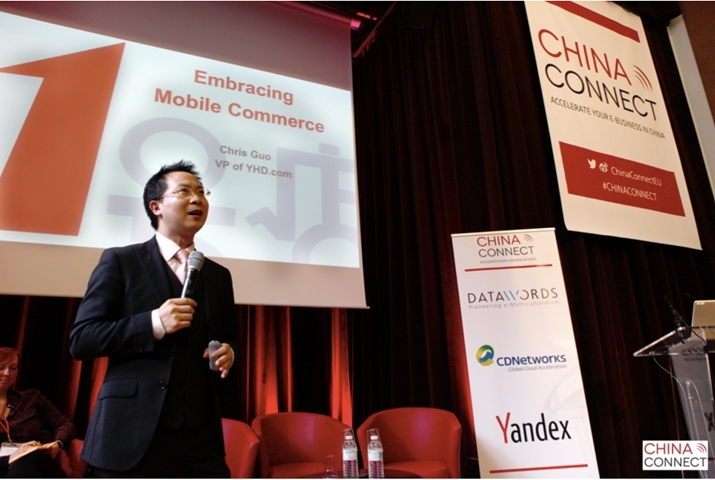 In this regard, we’re very happy to welcome WeChat at China Connect in Paris. Also, it’s interesting to see prominent Chinese tech entrepreneurs such as Tencent’s Pony Ma or Alibaba’s Jack Ma urging for a more open Internet that will benefit China’s economy, by spurring innovation and encouraging a shared economy. What are you looking forward to seeing this year in terms of China-West cooperation in these fields? For example, Datawords, specializing in e-multiculturalism is helping worldwide brands communicate effectively outside of their home markets. And I’m very happy to welcome at China Connect two Chinese companies in the field of programmatic advertising—iPinYou and iClick Interactive Asia, that are developing cross-border operations. E-commerce, e-health, FinTech, the Internet of Things, content creation, and also education are among the fields where we’ll see more cooperation. Why do you think that China’s mobile media and e-payment services have succeeded in market penetration where its Western counterparts have not? It’s not that the West has not succeeded, it’s that the context, the needs and the usages are different. The main reasons are linked to geography and scale, as well as access to products and services. We in the West have a culture of shopping in brick-and-mortar stores, like going to the mall in America. We have that choice almost wherever we go, the convenience is there, whereas you don’t have that choice everywhere in China. We also have a strong cash culture, and we don’t like to share personal data. Habits are the most difficult and slowest things to change. These are all factors that are enough to make a difference. China is composed of a huge territory, huge traffic, huge smartphone penetration and accessible labor costs that help drive the pace of development of services, in O2O for example. If it’s easy to get a quick and cheap [food] delivery, why go to a restaurant and waste time in a traffic jam? This is also a result of the fast adoption of mobile phones from a growing middle class, as well as a rising number of (very) young tech-savvy users. Still, e-commerce is growing everywhere, and connectivity is spreading, so we are certainly heading toward more electronic payments. What are some challenges facing Chinese companies’ expansion into Western markets? What about Western companies seeking to reach into China’s market? The main challenge is the same as ours in expanding in China: culture. Objectives and means can be an aspect of that culture as well. From a purely marketing standpoint, the challenge lies in branding. Building a brand’s DNA, territory, values, and unique selling point is something new to Chinese companies, which are more sales-driven and want to go fast. But it takes time—sometimes decades, or even a century—to build a brand. With China’s market shifting from manufacturing to a service- and consumption-driven economy, it is obviously changing in terms of agility, speed, and aggressiveness. What about the use of e-hongbaos—digital red envelopes—which have seen an explosion in popularity in China? I don’t think that e-hongbaos could spread around in France. Let’s not forget they are first and foremost an old Chinese tradition, that has been digitized. That was a brilliant idea! Connecting with millennials, who wouldn’t otherwise engage with such programs. Also there’s another key date I can’t skip: How Jack Ma publicized the Chinese e-commerce event of the year, November 11 [or Singles’ Day], with his very own Live TV show bringing in movie stars such as Daniel Craig’s 007 and Kevin Spacey’s character in House of Cards Frank Underwood. I believe that was another milestone.